In a victory for the history buffs, David Whitley indulges in a spot of armchair time travelling to track down the most ancient wonders of modern Australia. The answer, of course, is that if you leave yoghurt alone long enough, it will eventually develop a culture. It’s a none-too-subtle dig at Australia’s lack of history, and, as with many none-too-subtle digs, it’s not entirely fair. The country is brimming with historic sites, some a lot older than you’d think . . . The Jenolan Caves in NSW’s Blue Mountains region have been attracting tourists in large numbers since the 1880s, although things were a little hairier back then. While nowadays people walk around safely in jeans and T-shirts, in the Victorian era visitors would dress up in their finest clothes and risk life and limb clambering through the caves with ropes and candles. Recent testing has revealed Jenolan’s cave system to be far more significant than previously thought, however. Using scientific techniques, the caves have been shown to be around 340 million years old, making them the oldest open caves in the world. It seems every establishment opened before the turn of the 21st Century would like to claim this for use as a marketing gimmick, but the two with the most likely claims are both in Tasmania. First up is The Hope and Anchor (03 6236 9982, www.hopeandanchor.com.au) in Macquarie St, Hobart. 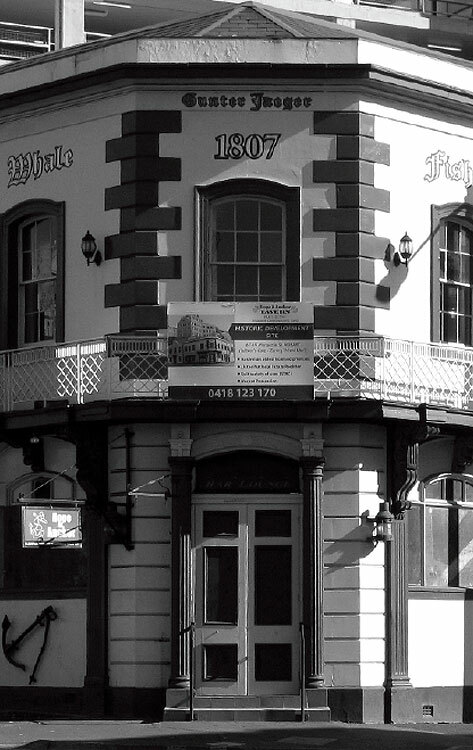 It claims to have been running since 1807, and thus to be the oldest pub continually running on the same site. Others had sprung up in Sydney beforehand, but are no longer there. However, the Hope and Anchor was originally called The Whale Fishery, which leads to a rival claim from The Bush Inn (03 6261 2256) in New Norfolk. It has been continually licensed since 1825, although it was built in 1815. To keep everybody happy, why not have a thoroughly historic drink in both while the publicans solve the dispute via the time-honoured medium of arm-wrestling? Playing the Ratho course at Bothwell is a challenge to say the least, mainly because of the herds of sheep roaming the fairways. 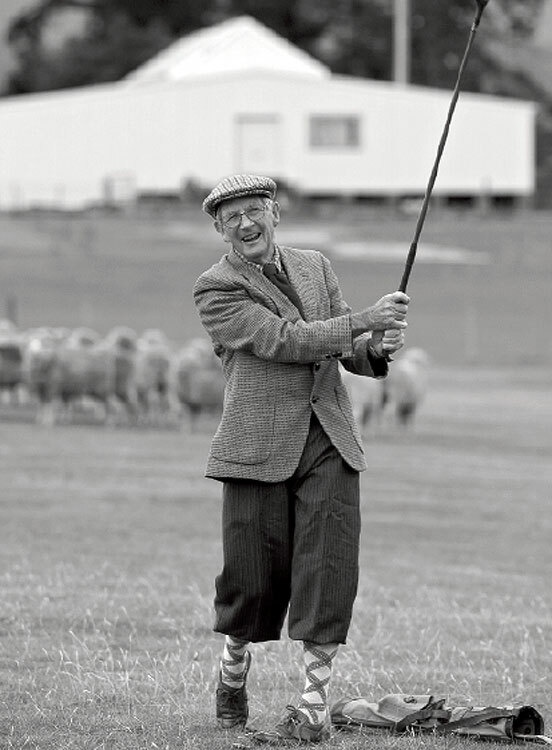 On a private property in Tasmania’s Central Highlands lies the oldest course in the southern hemisphere. Playing the Ratho course at Bothwell is a challenge to say the least, mainly because of its square greens and herds of sheep roaming the fairways. These mobile mowers are used to keep the links nicely trimmed, and golfers have been playing around them since the 1830s. The site is also home to the Australasian Golf Museum (03 6259 4033). Only Yellowstone in the US has been designated as a National Park for longer than the Royal National Park, just south of Sydney. It was founded in 1879 with the far-sighted ideal of providing a much-needed environmental “lung” for the burgeoning NSW capital. Though regularly scarred by bushfires over the years, it’s still a beautifully tranquil spot, as anyone who has taken the ferry across to Bundeena will happily testify. Variety is the spice of life here, with rugged coastal cliff-top walks mixing in with deep valleys, strange rock formations such as Eagle Rock, and trails through the heathlands for hikers and mountain bikers. As it’s impossible to accurately date Indigenous structures, this category has to be limited to the post-European discovery era. The Old Government House in Parramatta, NSW, is certainly the oldest public building in the country, going back to 1799 – but the most ancient of all pre-dates Captain Cook. On West Wallabi Island in WA’s Houtman-Abrolhos islands are the remains of two huts and a fort. These were built by the survivors of the Batavia shipwreck, which met its unfortunate end in 1629 on the way to modern-day Jakarta. Batavia Coast Air Charter (08 9921 5168, www.abrolhosbat.com.au) runs tours of the islands from Geraldton on the mainland, and flies over the huts. 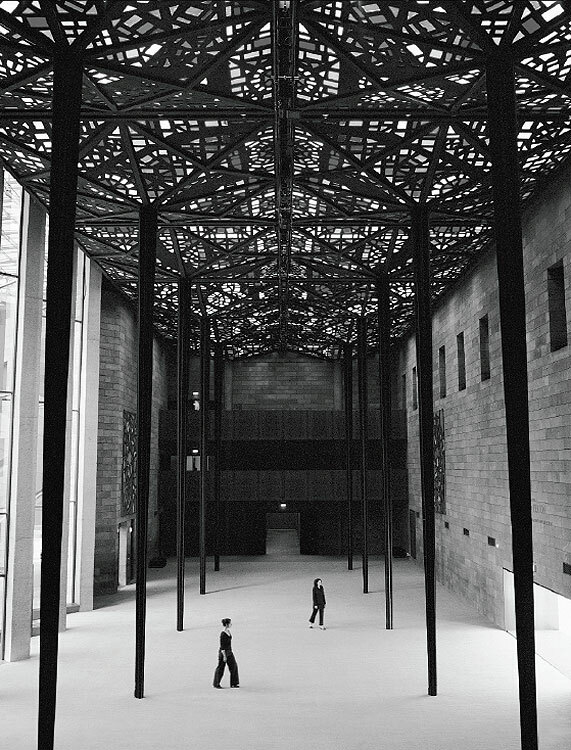 Despite much of the collection recently moving to Melbourne’s Federation Square, the original home of the National Gallery of Victoria (03 8620 2222, www.ngv.vic.gov.au) has been standing since 1861. The building on St Kilda Road is now home to the gallery’s international works of art and exhibitions. However, it would be fair to say that Australia’s oldest and most impressive art galleries are not in a building at all. Injalak Hill and Nourlangie Rock in Kakadu are home to ancient Aboriginal rock art that is thought to be many tens of thousands of years old. There are several sites, linked by a walking track, and you can roughly date some of the pictures yourself due to the appearances of sailing ships, white men and guns. Tucked in right next to Hyde Park in Sydney is The Australian Museum (02 9320 6000 or www.amonline.net.au), which was founded back in 1827. Whilst it’s not got as much of the button-pressing whiz-bang interactivity of some of its more recent rivals, it still covers a broad range of topics in fascinating detail. The stars of the show are always the temporary exhibitions, but the permanent collections have had all that time to grow into something special. Among these are displays on Indigenous culture and the Chapman Collection, an astounding treasure trove of precious minerals from around the world. While the fighting to become the oldest pub is frenetic, no-one seems to want to come forward and claim the restaurant prize. As both the Hope and Anchor and Bush Inn serve food, then they’ve got a fair shout, but neither was primarily set up for dining. The Grossi Florentino (03 9662 1811, www.grossiflorentino.com ) on Bourke St, Melbourne, therefore has a very good claim. It was set up as a wine café in 1900, becoming the Café Florentino in 1926. It has changed hands and guises many times since then, but it is now firmly established as one of Melbourne’s classiest joints and produces authentic Italian recipes. While it may have been usurped by the Gold Coast’s colossal fun factories, Melbourne’s Luna Park (03 9525 5033, www.lunapark.com.au) has become a true Australian icon since opening in 1912. The huge clown smile entrance scares as many people as it enthrals, and going inside is a little like stepping back in time to a more innocent era, where rides didn’t have to be utterly terrifying to keep people amused. But while the park is the country’s oldest, the Scenic Railway ride has a more widespread claim to fame – it’s the oldest continually operating rollercoaster in the entire world. No holiday would be complete without shelling out some cash on a shopping binge, and there are few better places to do that than the Queen Victoria Market in Melbourne. It’s both the oldest and largest market in the southern hemisphere. Trading started here in 1858, although it wasn’t officially opened until 20 years later. With hundreds of stalls, the range of what you can get here in the bracing Melbourne air is astonishing, while foodie tours are available for $28 for those who want to get more than just a taste of things (03 9320 5835 or go to www.qvm.com.au). 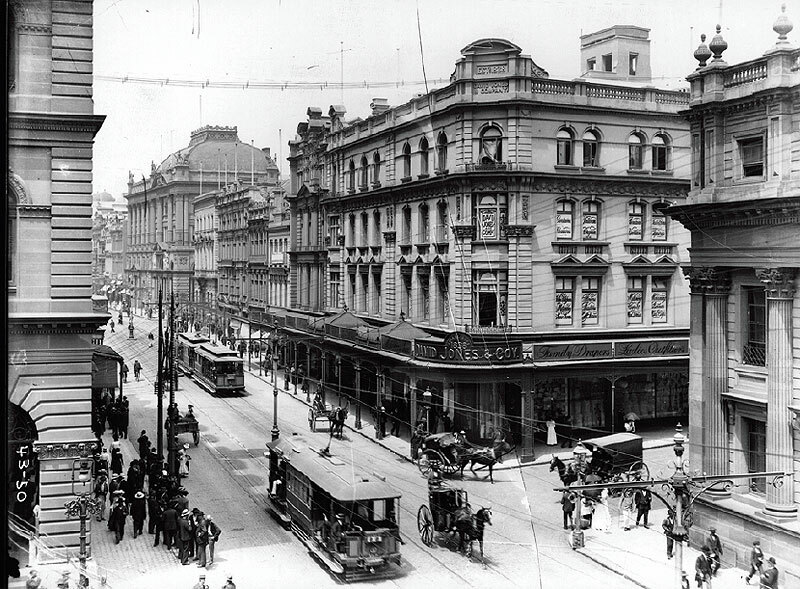 Meanwhile, the David Jones store on George St, Sydney, is Australia’s oldest department store. What’s more, with the company dating back to 1838, it is the oldest department store in the world that still trades under its original name.